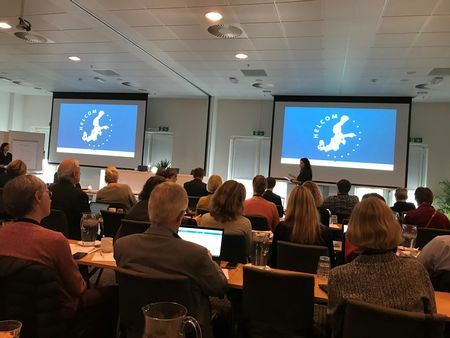 The CPMR’s Baltic Sea Commission (BSC) took part in a key stakeholder conference in Copenhagen on 06 November, where discussions focused on Baltic region’s position on blue growth and the economic benefits of healthy seas. The ‘Research and Innovation for Sustainability Stakeholder’ Conference, organised by HELCOM and the BONUS Programme, aimed to bridge the gap between science and policy for the improvement of the ecological state of the Baltic Sea. In addition, it reinforced links between BONUS, HELCOM and key strategic actors in northern European regional seas, including the Baltic Sea Commission and its member regions. The research presented during the conference showed that the Baltic Sea region is one of the most vulnerable in Europe when it comes to environmental issues, which include over fishing and increasing levels of pollution in it seas. However, this research also shows that regions are ready to bring together their experience, skills and resources to identify potential solutions to tackling climate issues. This will involve consideration of research activities, monitoring activities, data availability and governance structure. Asa Bjering, Executive Secretary of the CPMR Baltic Sea Commission, took part in a panel discussion on how to better link research with decision makers. She stressed the need to form research projects that include regional decision makers and stakeholders. She said: “Blue Growth research could, for example, help build evidence for challenge driven research and support the interregional value chains that needs to be further mapped in the Baltic Sea Region”. Speaking at the same panel discussion, Jakob Granit, Director General at the Swedish Agency for Marine and Water Management, outlined the Swedish government’s ongoing support for the BONUS Programme, and stressed that national agencies have a key role to play in bridging the gap between research and decision makers. BONUS is a joint Baltic Sea research and development programme for 2010-2017, officially launched by the BONUS Member States and the EU in September 2010, and It will continue. It is being enlarged to cover the North Sea area, with the CPMR’s North Sea Commission and its member regions involved in drafting its new programme directive. The BONUS programme strategic research agenda can be read here.